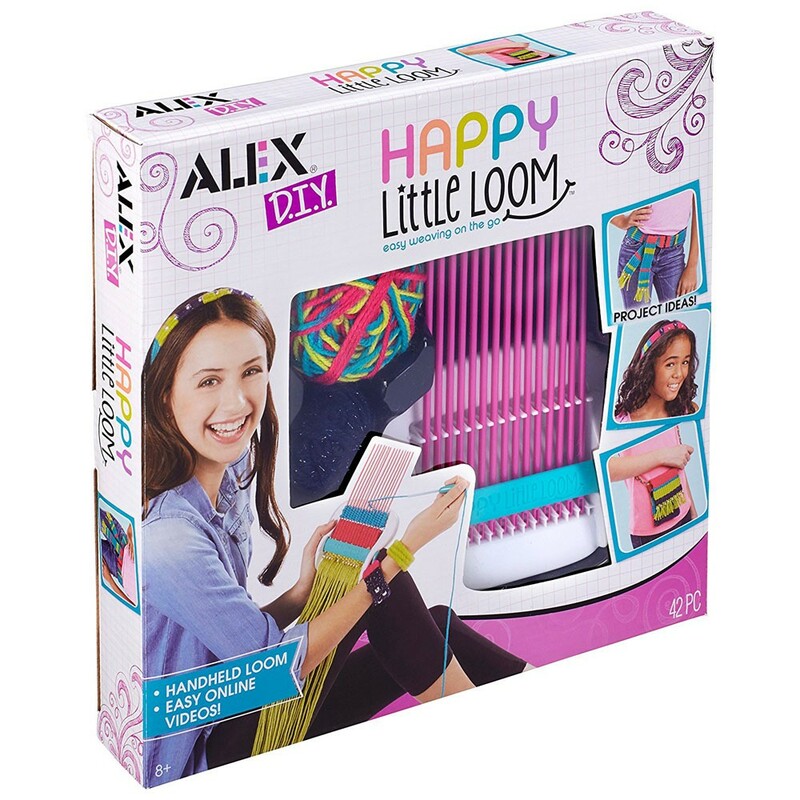 Let's weave unique designs with this kids handheld weaving loom device from Alex Toys' DIY craft collection. 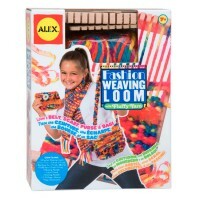 Let's weave unique designs with this high quality kids weaving loom set by Alex Toys. Happy Little Loom Weaving Craft Kit comes with a handheld device to make colorful weaving projects. 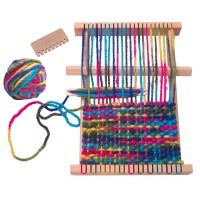 This new loom set includes 15 rods, handheld weaving tool, threader, brightly colored yarn, plastic needle, and decorative beads. 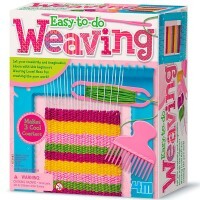 Follow the simple instructions and make the yarn go back and forth as you weave a colorful design. 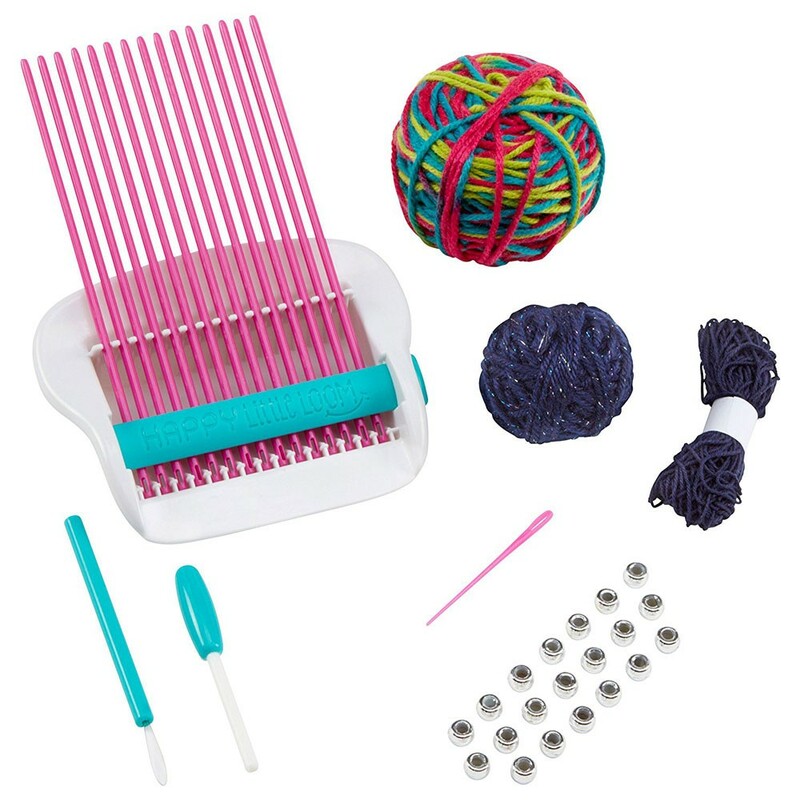 With this weaving kit you can make different creative projects: belts, bracelets, scarves, headbands, purse, phone case and more! 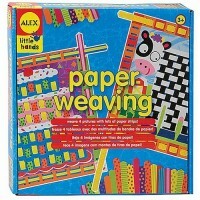 This loom craft kit is also a terrific educational set: weaving your own cloth you realize how the fabric is made.This children loom set from Educational Toys Planet is a perfect way to learn weaving and create one-of-a-kind weaving projects. When you finish your project, and the cloth is fully woven, you can display it with pride in your room, or go a few steps further and make some fashion accessory out of that hand-made fabric. 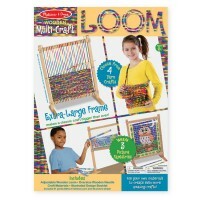 Dimensions of package 2" x 12" x 11.5"
Write your own review of Happy Little Loom Weaving Craft Kit. Rating: 5 Nice by By A customer Arrived in time for Christmas. Great job. Rating: 4 Poor Construction by By A customer It's not the best construction, and you'll probably want to quickly upgrade to something nicer, but it's sometimes nice to get everything ready to go and see if it's something your child might like. The downside if its too frustrating they might not want to use it. 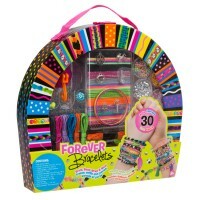 So far it's been ok for my daughter, and she really likes the idea of being able to make things with it. Rating: 5 Great gift. by By A customer My daughter really enjoyed this . Worth the purchase. Rating: 4 Great way to introduce a new handicraft by By A customer My 8 year old boy said "This is more fun than I thought it would be!". The 6 year old likes it too, but needs a little more help. They are both planning future creations. Rating: 5 Cute and easy to use by By A customer Cute and easy to use. 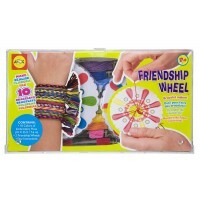 It is a wonderful starter loom that allows kids to decide if they are into looming. Very easy to make starter projects. 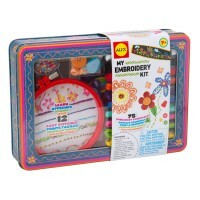 The included supplies are of a decent quality. 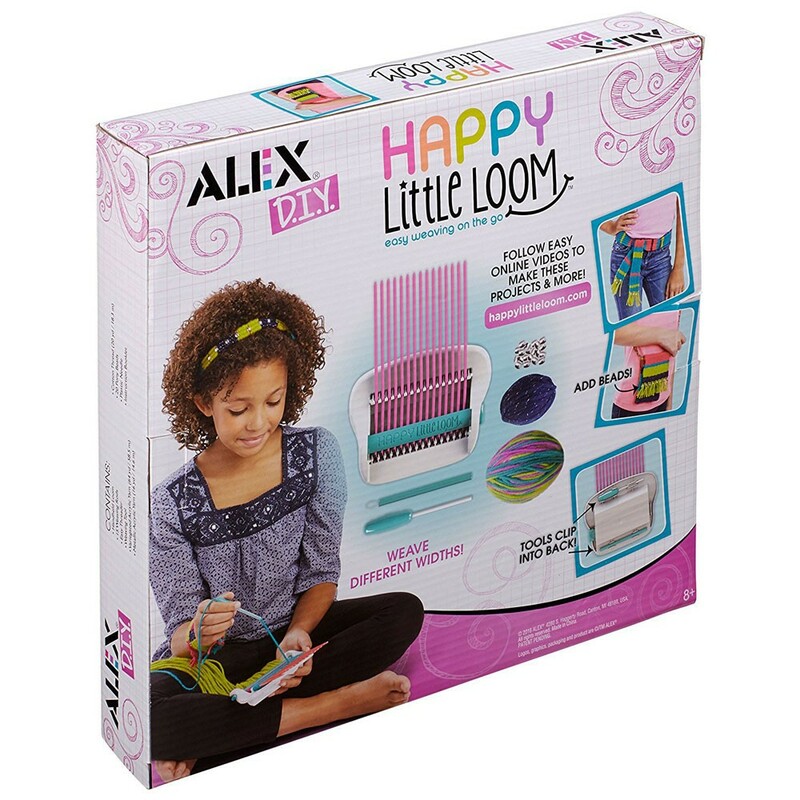 The loom itself is easy to use and well made. 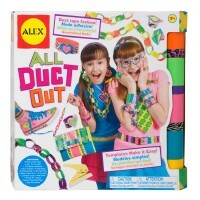 Great product for craft obsessed tweens. 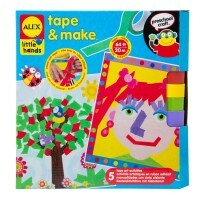 Rating: 5 Five Stars by By A customer Gave to my niece for Christmas and she loves it!